Lead nurturing has moved from a wish-list program to a competitive necessity since three out of four leads generated end up buying in the next 18 to 24 months, according to MarketingSherpa. But figuring out how to close more business from their leads is a daunting task for most B2B marketers. 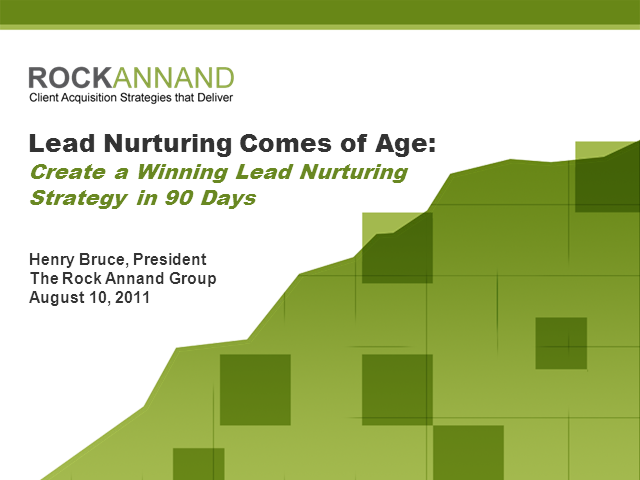 Attend this session to find out about a simple yet sound lead nurturing strategy that is doubling business from existing leads.